It’s ALIVE! And Growing~ | personal.amy-wong.com - A Blog by Amy Wong. 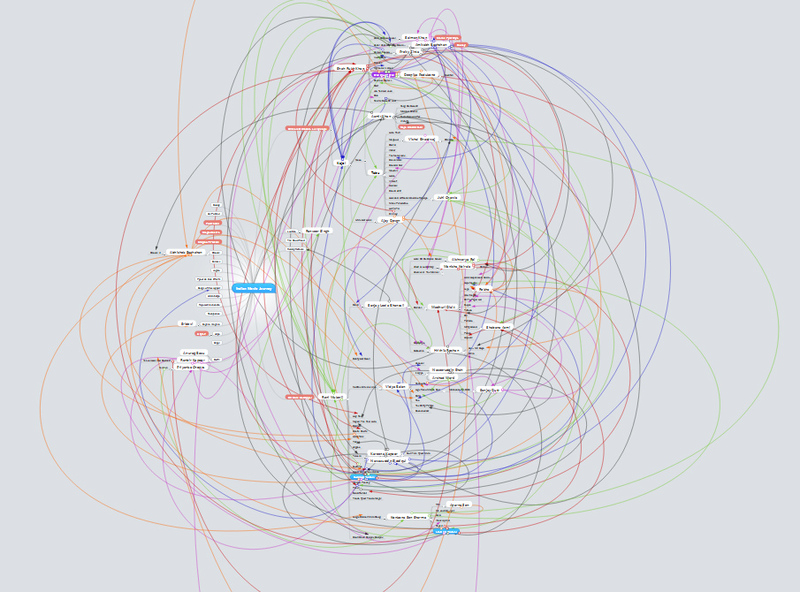 The Indian film journey mindmap  collection is a little monster, and it keeps on getting bigger. This time some of the additions included about 21 films with Tabu, a few with Aamir Khan, a couple more from Madhuri Dixit… and about half a dozen with Konkona Sen Sharma. Oh, and Juhi Chawla now has her own hub. The connections now seem unreadable. ** BLUE bubbles are film hubs where a lot of actors show up. *** PURPLE bubble is RED + BLUE. Duh.